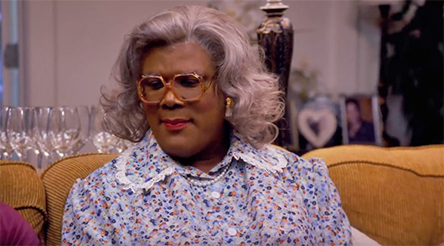 Lionsgate Home Entertainment is a hot mess. They have a new website, which is pretty much worthless. They have (had, it is unclear of the current status) an outside PR firm that is both arrogant and incompetent … and their representative at that firm suddenly no longer works there. These all seem like improvements, but they are really nothing more than cosmetic … like shuffling the deckchairs on The Titanic. For example, Ingram’s videoeta.com website on Wednesday (Apr. 10) of this past week began posting that writer/director Tyler Perry’s latest entry in the Medea film franchise series, A Madea Family Funeral, would be heading home on June 4 as both DVD and Blu-ray/DVD Combo Pack editions. The “new and improved” Lionsgate website confirms exactly that, but offers no details. Some things just never change. 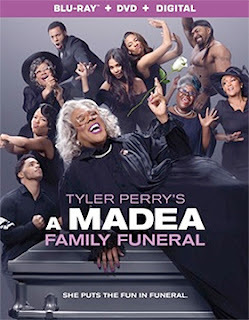 If you are Tyler Perry, a filmmaker who has delivered hit and after hit for the studio, you’d expect at least some effort put forth in promoting your films in the home entertainment marketplace. But maybe he too realizes that expecting such respect is just exercise. As to A Madea Family Funeral, ticket sales to date are a solid $72.1 million and the home entertainment ARR comes in at a current industry average of 95 days. Bonus features? We refer you to Lionsgate Home Entertainment’s fancy new website for those details (good luck).